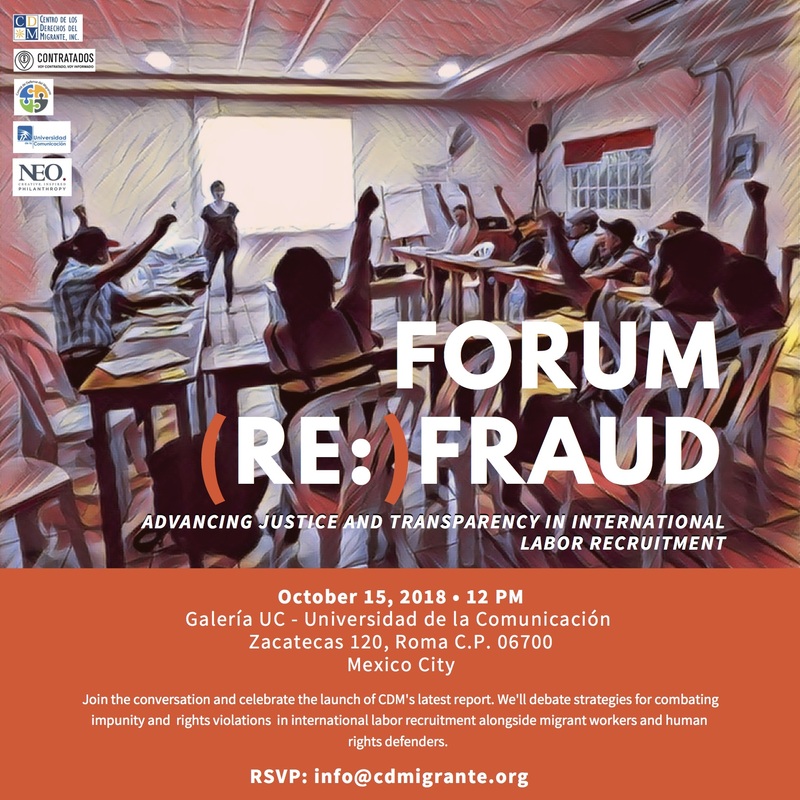 Forum (re)Fraud - Centro de los Derechos del Migrante, Inc.
Join us in combating fraud in the recruitment of migrant workers! The lack of transparency and accountability in the international recruitment process fuels the business of fake jobs: scammers all over Mexico fabricate nonexistent U.S. job offers to defraud people who are seeking employment. In recent years, Centro de los Derechos del Migrante, Inc. (CDM) has documented fraud schemes that affected at least 6,500 people, who have lost a minimum of $60 million pesos. We need to mobilize. You’re invited to explore strategies for accountability, advance transparency and create a path to justice alongside migrant leaders and human rights defenders. Don’t forget to confirm your attendance by writing to info@cdmigrante.org.